Instrumental music teachers have spent many years, if not decades, training to be highly skilled musicians. At some point in their lives those musicians then decided to become teachers and may have completed further study in this area. These people have the desire to combine their love for music with the desire to share their skills and knowledge. Most instrumental music teachers don’t consciously choose to be a business owner or consider what sort of business they wish to pursue! Instead there is a tendency to focus on the teaching and let the business stuff look after itself. Running a music school or studio involves running a business, whether you are prepared for it or not! It can be scary and it can be hard work, but it doesn’t have to always be like that. The Music School Success Ladder is a system designed to help music teachers maintain, develop and grow the business side of things by providing a framework to guide them through the preparation and changes required. The money, expenses and income. Your creations, programs and systems. The systems that make your business work on a day-to-day basis. Managing and developing your staff, consultants and freelancers. Includes paid and unpaid advertising, PR and any methods of telling the world about your business. Whether a business is in the dream, design, building, living or expanding stage (the five phases any business goes through as it operates) each of these 8 key areas needs to be reviewed and addressed to varying degrees. Let’s look at an example of how a business can grow. 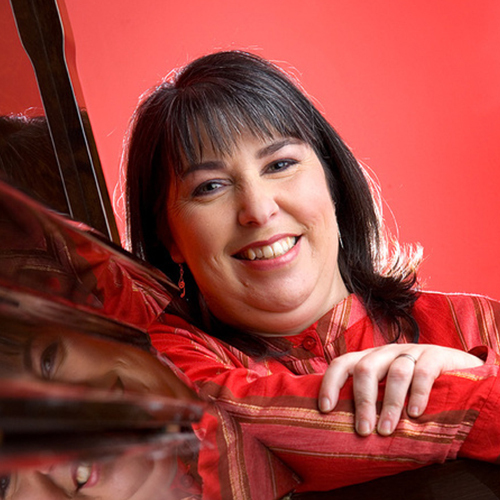 Kirsty had been teaching piano from her own home in the suburbs of Perth for several years. She was the only teacher at her studio and therefore fit the profile of “One Person Show” on the MSS Ladder (see MSS Ladder Part 1 for details). Kirsty was interested in expanding her studio by employing one teacher initially, with the potential to grow further: ultimately to employ multiple teachers, reaching the “Manager” level. The first tasks for Kirsty to address are within the HR division. These tasks would include establishing systems for recruitment, training and mentoring, communications, conflict resolution, and an appraisal system. Subsequently, operational tasks to consider include: timetables, teaching locations, staff policy and procedures and lesson policies. Additionally, there are also legal obligations to consider with insurance and contracts. Kirsty will also need to address financial responsibilities such as payroll, superannuation, tax implications and budgeting. Intellectual property comes into play too, with the new teacher using Kirsty’s teaching program, administration, communication and concert system. At this level of business, merchandise may be of little concern, but will still need to be addressed: how will the new teacher supply things to their students? Items such as music books, equipment such as reeds, strings, metronomes or stools may need to be purchased. Does she want to arrange instrumental sale or hire? Kirsty may also want to consider how to arrange concert ticketing, teacher discounts/commissions and prizes. Thinking about these matters before you take on a new teacher helps keep things organized and clear for everyone. When it comes to technology, who is going to supply it? IT needs such as internet access, computer and phone access, and teacher email accounts may be worth thinking about before taking someone on. Finally, once your teacher is on board and operating, there will be even more need for you to provide marketing. Set up a website and social media so new students can find you. Develop a student recruitment/retention system and any advertising that is required. These are all things that will provide students for your new teacher. Now this could seem overwhelming, but don’t despair! You may already have many ideas and plans formulated that will fall within these tasks, and some of these tasks are quite small. They don’t have to be tackled all at once and some may not apply to your situation. So am I just trying to scare you with a long list of scary tasks? Absolutely NOT! The purpose of this list is to have a reference point or checklist from which you can begin to develop at your own pace, to ensure that you are thoroughly prepared for future growth and opportunities. Doing your due diligence before expanding can help you make better choices. If someone like Kirsty at the “One Person Show” level employed a colleague without checking their HR responsibilities, or without having operational procedures in place, it may result in unexpected issues. The new teacher could teach in a different style to what Kirsty expected, or give students and parents incorrect information about things like buying books, making payments or other lesson information, and ultimately they could damage Kirsty’s hard-won reputation — and it might happen totally innocently! If Kirsty continues to grow the number of teachers in her studio, each of the tasks being put in place now will help her achieve the continued growth. With clear long-term goals, she can even begin preparations now that will suit a larger number of employees, even when she is only taking on her first teacher! Ultimately, informed preparation is the key to successful growth for your music teaching business.